This Research Topic aims at gathering the advances in our understanding of the slow, deep carbon cycle that among other factors controls the habitability of planet Earth over geological time scales. The papers would explore different facets of this unifying concept. This includes the forms of carbon in the deep Earth, whether at shallow or great depth (methane, abiotic hydrocarbons, carbon mineralogy and petrology, diamonds). This collection also considers the origins of carbon, whether biotic or abiotic, and includes the origin of terrestrial carbon. How was it delivered and processed on the early Earth? How could this relate to the origin of life? We will consider the interrogation of carbon emission, processing transfers in all geological/tectonics settings – oceanic ridges, seafloor, rifts, arc volcanoes, and others. 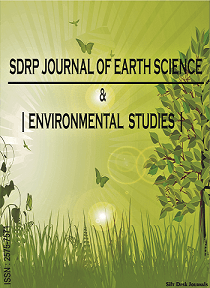 We encourage submissions that also include modeling initiatives of the different aspects of the deep Earth carbon budget includes geochemical, tectonic, and geodynamic investigations. Last but not least, interrogation of the ecological, physiological, experimental investigations of the subsurface biosphere are welcome.